BLVR: In the past you’ve said your work is influenced by Dostoevsky, Kafka, and other artists. But you’ve also listed your mother. What was the influence she had on you as an artist? TH: I was influenced by her dedication and sacrifice. My mother is Christian; she has her own faith in God. Because I am an atheist, I put my dedication and sacrifice into the art rather than God. Even though I wasn’t a filial son in childhood, I always acknowledged what I inherited from her. A priest may say things that sound good, but they may not be close to God, not like the pure worshipper. My mother has a pure, close-to-God way of believing and doing things, including how she deals with family and other people. And she has a strong will. In art, I use her way of doing things. It is not a public way. The priest is public. Art is public. Maybe the examples I use instead are Tolstoy and Dostoevsky. Dostoevsky knows human darkness. But he uses darkness to access the pure. Tolstoy is more about light and optimism. Dostoevsky to me feels more contemporary. He has a contemporary view of human existence. To me, my mother is more Tolstoy. But I’m more Dostoevsky. I do the dirty work. But my dirty work is also pure. I’m pure in art, but I know dirtiness and I know evil. To show your art and to survive in the world, you must know a little bit about the dark side. 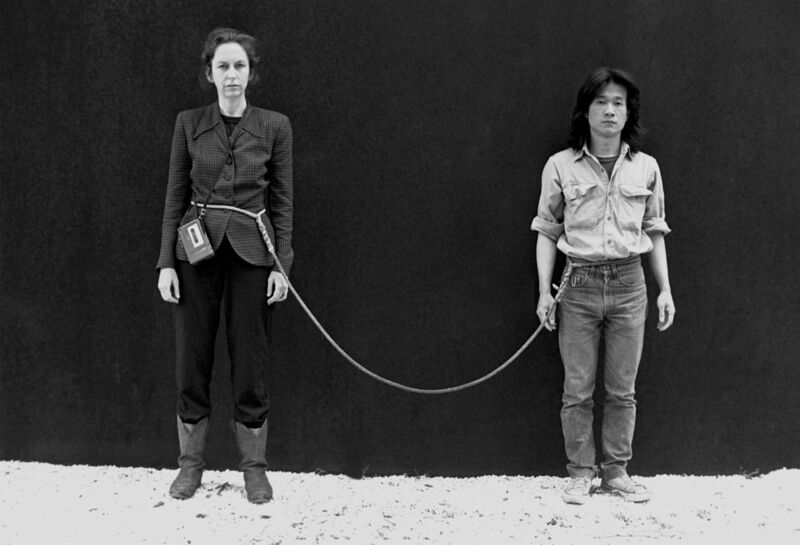 Image: Tehching Hsieh, Rope Piece, 1983-84. Tehching Hsieh and Linda Montano. Via Artsy.